The sound meter supplied with this noise monitor is the Castle dBAir Octave Band sound meter. This octave band sound meter is capable of audio recording and storing time histories down to 100ms and has smart timers. If your unattended measurements need to be taken with 1/3 Octave bands then this system is the ideal noise monitor for you. The dBAir Octave Band Noise Monitor has been designed to sit securely outside for up to 8 days, protecting the equipment from any type of elements. The octave band sound meter in this noise monitor system records each frequency band up to ten times per second, whilst also recording audio events and smart timers for repeated patterns of measurements. 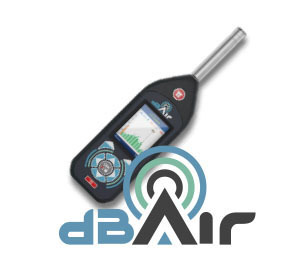 Supplied with three years licence, this dBAir Noise Monitor uses Cloud noise analysis software. Hosted online, all you need to access it's entire software capabilities is an internet browser. Automatic updates mean no downloads ever required. Octave Band Analysis Where fitted 1/1 or 1/3 octave band analysis on measurement 1 only. dBAir Environmental LSPL, LE, LEQ, LMAX, LMIN, Peak, Ltm3, Ltm5, Lday, Lnight, Ldn, Lden, NA, 10 user-definable Ln values (pre-set to: L1, L2, L5, L10, L50, L90, L95, L98, L99) plus LAF* for Noise act assessment. dBAir Environmental Octave: LSPL, LE, LEQ, LMAX, LMIN, Peak, Ltm3, Ltm5, Lday, Lnight, Ldn, Lden, NA, 10 user-definable Ln values (pre-set to: L1, L2, L5, L10, L50, L90, L95, L98, L99) plus LAF* for Noise act assessment. 1/1 or 1/3 Octaves: LSPL, LE, LEQ, LMAX, LMAX, Ln’s, Peak. 1/3 Octaves. dBAir Safety & Environmental LSPL, LE, LEQ, LMAX, LMIN, Peak, LEP’d, Exposure Points, Dose, Hearing Protector Calculator, Ltm3, Ltm5, Lday, Lnight, Ldn, Lden, NA, 10 user-definable Ln values (preset to: L1, L2, L5, L10, L50, L90, L95, L98, L99) plus LAF* for Noise act assessment. dBAir Safety & Environmental Octave: LSPL, LE, LEQ, LMAX, LMIN, Peak, LEP’d, Exposure Points, Dose, Hearing Protector Calculator, Ltm3, Ltm5, Lday, Lnight, Ldn, Lden, NA, 10 user-definable Ln values (pre-set to: L1, L2, L5, L10, L50, L90, L95, L98, L99) plus LAF* for Noise act assessment. 1/1 or 1/3 Octaves. Languages English UK, English US, Chinese, French, German, Italian, Portuguese Brazilian, Russian, Spanish. PC, Mac, Tablet or phone, you can access your account and data from any device, anywhere in the world! At the push of a button the dBAir wirelessly, quickly and securely sends all of your data to your account in The Castle Cloud. Not only do we regularly back-up all your data onto secure servers, you can also download your own data at any time onto your device. As soon as you log into your Castle Cloud account, your data will be waiting for you primed for analysis and report creating. Alternatively, use a USB cable to copy a csv file straight off the meter! Set Administration Levels for different staff, ensuring the safety of your data whilst ensuring you get the most out of your results. Cloud softare isn't just the future, it's the present! If you use Apple, Dropbox, Microsoft or Google then you're already on the cloud and benefiting from the power and flexibility that brings. Top of the range sound level meters with extensive features, including WiFi Data Transfer and optional octave band analysis. 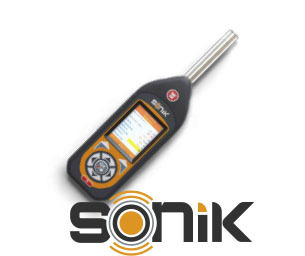 Dedicated sound meters for Occupational and Environmental Noise assessments with very easy operation and impressive battery life. 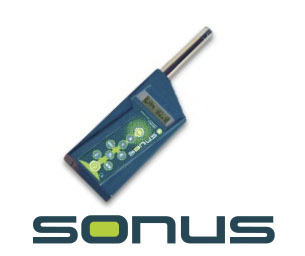 Proven and fully compliant sound level meters at an impressively low price. SAFETY ENV. SAFETY & ENV.